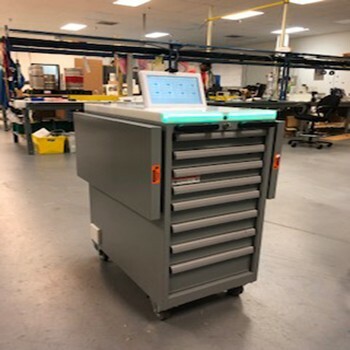 Venture Research has developed the most comprehensive mobile tool drawer management system with extensive features to satisfy the most demanding tool management environments. 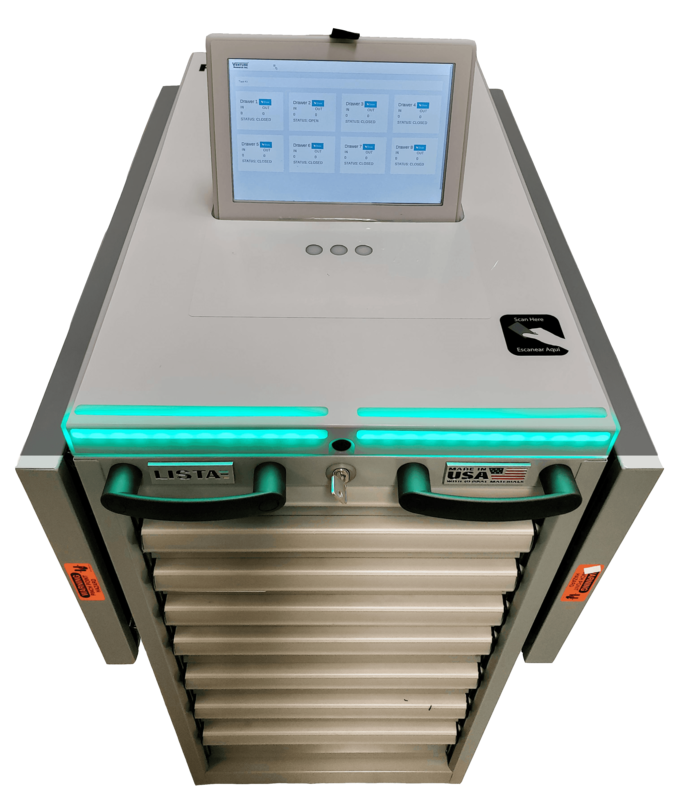 Designed with MRO in mind, tool attributes such as calibration, wear usage, expiration and user accessibility are managed in a mobile battery powered drawer system. FOD (Foreign Object Debris) can now be completely managed. 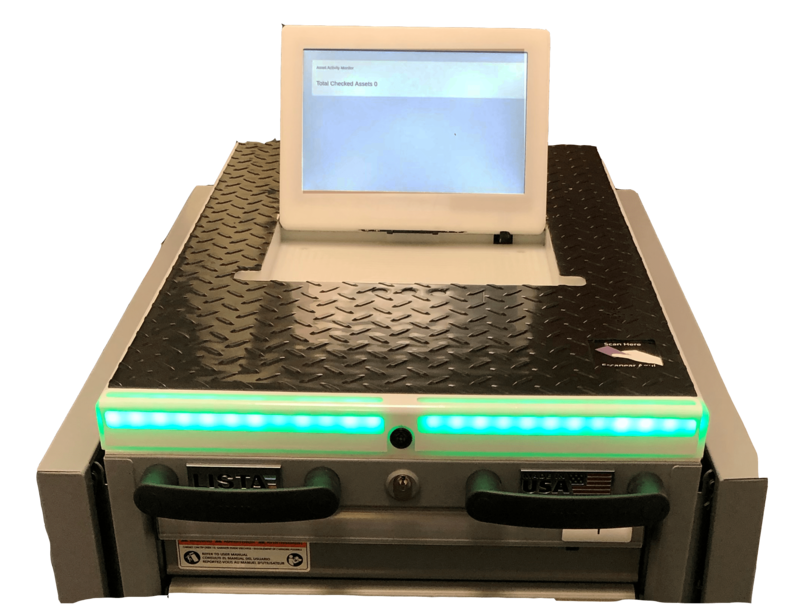 The Taskit can be purchased in a "headless" configuration as a standalone autonomous tool management system or a "headed" configuration that has a full integrated touch screen LCD display to allow additional attributes to users and tools to be administered. The headless configuration uses voice prompting to guide simple administration tasks such as adding user badges and tools. The Taskit has an integrated lock that ensures tool access is only allowed to users that have badge authorization. A built-in badge reader that is compatible with most industrial badges provides the security and accountability of knowing every person that uses a tool. Multiple users can share tools in the same Taskit but each user is accountable for the tools they use. Facial recognition is also available as an option for the utmost in secure access. Even from across the room, the visibility of tools out or all secure is provided by integrated LEDs. 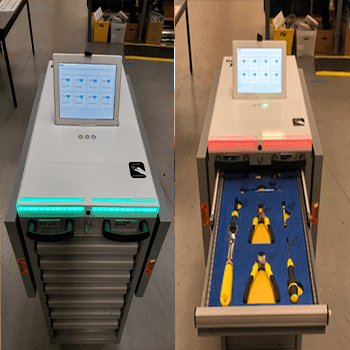 Supervisors can now just walk around and if all the Taskit's LEDs are green, they know all the tools are secure and checked in. 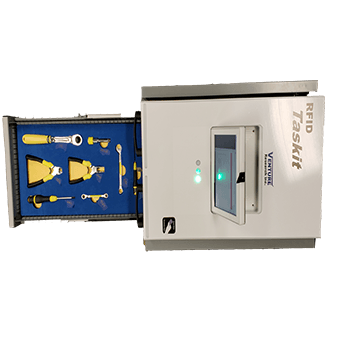 The Taskit has integral dual high amperage batteries that allow removal and insertion while the unit is powered on. The system is designed with low power consumption in mind and has been tested to be able to be used for a full 24 hours without battery replacement. Convenient cradle chargers are available and the Taskit has a built-in charger if direct wall power is available. As a mobile device, the Taskit can communicate directly to the cloud or premises systems with built in WiFi a/b/g/n support. Additionally, the unit can optionally support cellular communications to allow it to be truly standalone. Direct wired Ethernet is also provided for static installation. The Taskit can act as an IoT node with support for popular cloud services such as AWS. 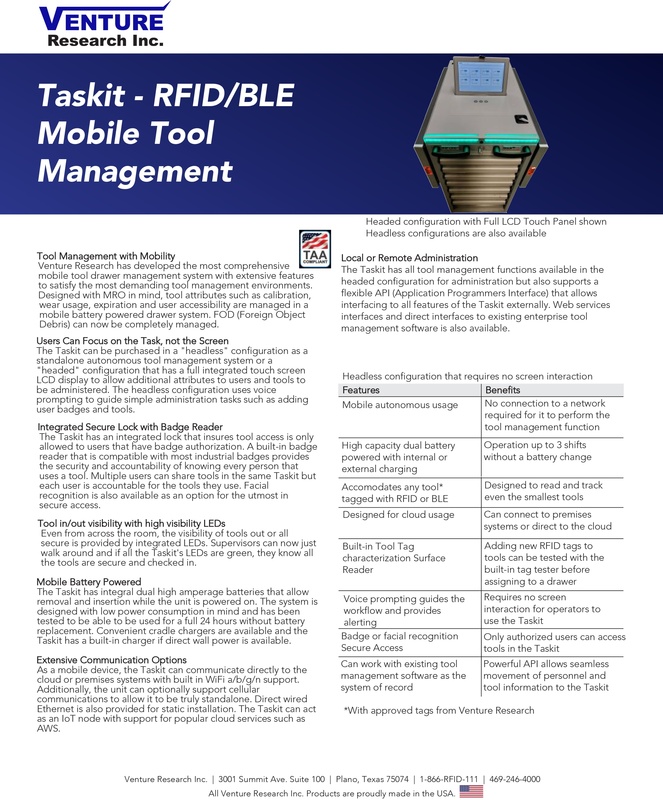 The Taskit has all tool management functions available in the headed configuration for administration but also supports a flexible API (Application Programmers Interface) that allows interfacing to all features of the Taskit externally. Web services interfaces and direct interfaces to existing enterprise tool management software is also available. To accelerate the addition of tags to tools, Venture Research maintains a tool tagging service that provides selection, placement, sealing and encoding tags on tools that can be used in the Taskit. A shadow boarding service is also available.